Published March 24, 2014 at 356 × 480 in Landscapes and Seascapes. 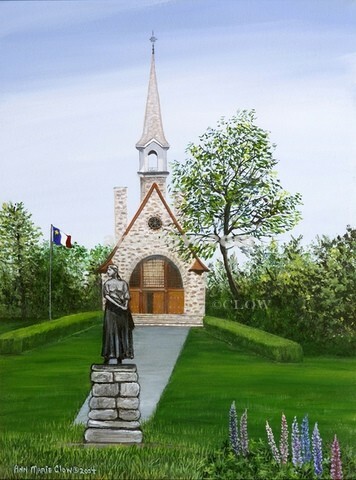 Grand Pre National Historic Site 12x16 - This 17th -18th Century old Acadian Church became the scenic setting for Longfellows narrative poem Evangeline: A Tale of Acadie. It commemorates the Acadians of the Minas Basin and the deportation from Nova Scotia.